I've written before that perhaps one of the reasons why we're not a spacefaring race yet is because we simply aren't interested in the people that are in space, as well as those that have made it and come back. That post referenced the lack of interesting interaction you get when you have a large number of people and the only solution to that might just be having a lot of people up in space at the same time, but until we get to that point another way to mitigate the problem is to have people in positions of authority that are as interesting as possible, and by interesting I mean capable of conveying to the average person the importance and majesty of space, as well as what it feels like to actually be up there. This post describes Charles Bolden as a "quiet man but not shy", and I'm not sure about the quiet part but he's definitely not shy, as this video shows. That's him explaining what it's like to launch in a Space Shuttle and what it feels like to be in space, and this capability to explain from personal experience is very important. This talk of his reminds me a bit of Neil DeGrasse Tyson if he had chosen to be an astronaut instead of an astrophysicist, as both are great at animatedly describing their field of expertise. From this video it looks like he'd also make a great guest on the Colbert Report, so let's hope he makes an appearance on there too. 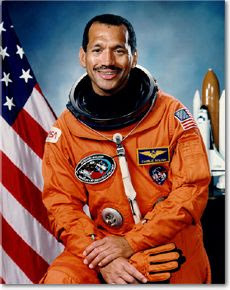 It's also interesting to note that Charles Bolden was the pilot for STS-31, the mission that deployed the Hubble Space Telescope, which is being upgraded as we speak. Pretty impressive résumé. Michael Griffin also agrees that Bolden would be perfect for the job.